Typing a long, strong (or so you think) password every time on your Mac can be quite annoying. We hate to admit it, but passwords are a necessary evil. With so many digital accounts that each of us have, remembering passwords has become more of an IQ test – the more passwords you are able to remember, the smarter you are! Add to this those password framing specifications and it’s enough to drive any sane person insane! While those who have taken Mensa IQ tests may not agree with this, on a lighter note, we sure as hell do! Wouldn’t it be wonderful if you could get rid of those annoying passwords and be able to unlock your Mac using Apple Watch or Android Wear? Turns out this is possible! This post will cover all the best available apps which will help you to unlock Mac using Apple Watch or Android Wear. 1. Knock Knock! Who’s there? Let’s start with the very popular and famous Knock 2.0. As their website says, Knock and Apple Watch are a match made in heaven. 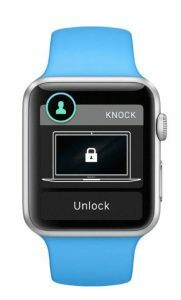 Knock is designed to take full advantage of Apple Watch while making unlocking more secure and reliable. Touch ID will ask for your fingerprint when you put on your Apple Watch. Once this is done, you can unlock your Mac from your wrist with just a tap – no Touch ID is required! How cool is that!? Oh boy, we are so glad someone figured out a way to get rid of those annoying passwords. Knock costs about $3.99. 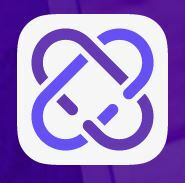 You also have to install this app on Mac, but this one’s available for free. This one works on Bluetooth Low Energy. As the Tether website says, the tether will lock your Mac when you’re not there and spring it back to life when you return. It’s that simple! All you need to do is to walk up to your Mac and voila – your Mac gets unlocked using the Tether app installed on Apple Watch. The Tether will automatically unlock Mac when you approach. Wait, will it lock when I go far away? Yes, it does! Go away from your Mac and Tether senses that your Apple Watch is not in proximity, so it swiftly locks the Mac! Amazed? So are we! Unlike Knock, Tether is free for both Apple Watch and Mac. Some in-app purchases do offer additional functionality. 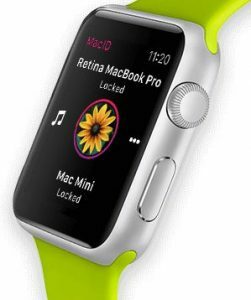 Just like MacID for iOS, MacID for Apple Watch allows you to lock and unlock Macs, control Spotify & iTunes. You can do all this using your wrist! This one costs $3.99 on the App Store. Like Knock, the Mac app is available for free. This one is similar to Tether. It doesn’t use TouchID or a physical knock to unlock but relies on proximity to automatically unlock and lock. NearLock is initially free for you to try out, but you have to pay $3.99 for Pro Mode. NearLock also uses Bluetooth Low Energy connection’s signal strength to determine proximity. There are quite a few apps to unlock Mac using Apple Watch. But there’s one for Android Wear too. It’s called Umwelt. Most of the Android smartphones do not have Bluetooth Low Energy support as of now. So Unlock only works with smart watches at present. For the language buffs, Umwelt means “environment” in German. This appears to be the only Android Wear based solution for unlocking your Mac, although many apps are in the pipeline. That’s all folks. But aren’t you glad that you can finally get rid of those annoying passwords to unlock your Mac? Remembering passwords for all the ‘n’ number of digital accounts that we have today is becoming too overwhelming and hard to manage. These apps are a welcome change. Unlocking Mac will no longer be the same! Share your experiences and thoughts in the comments section. You can also share the funny experiences you have had with those long, annoying, boring (or interesting?) passwords.